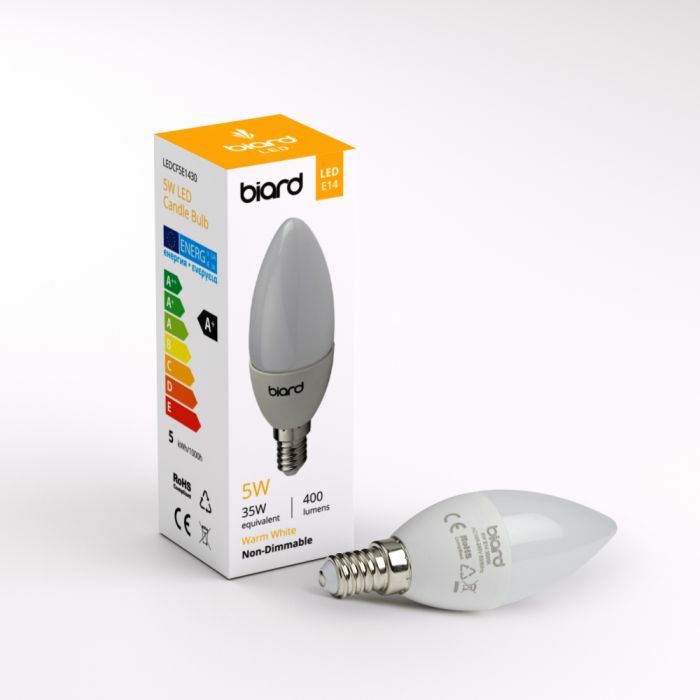 Making use of an LED light such as this Biard Candle 5W E14 Frosted LED is guaranteed to help you to save money on your electricity bills and leave you more cash to spend on the finer things in life. With the equivalent power of an incandescent 35W bulb, this stylish Biard Candle LED light is available in a choice of colour temperatures, allowing you to create a mood and feel of your choosing. The Warm White glow provides a richer and more welcoming tone, whereas the Naturall White is bright and provides light similar to daylight. 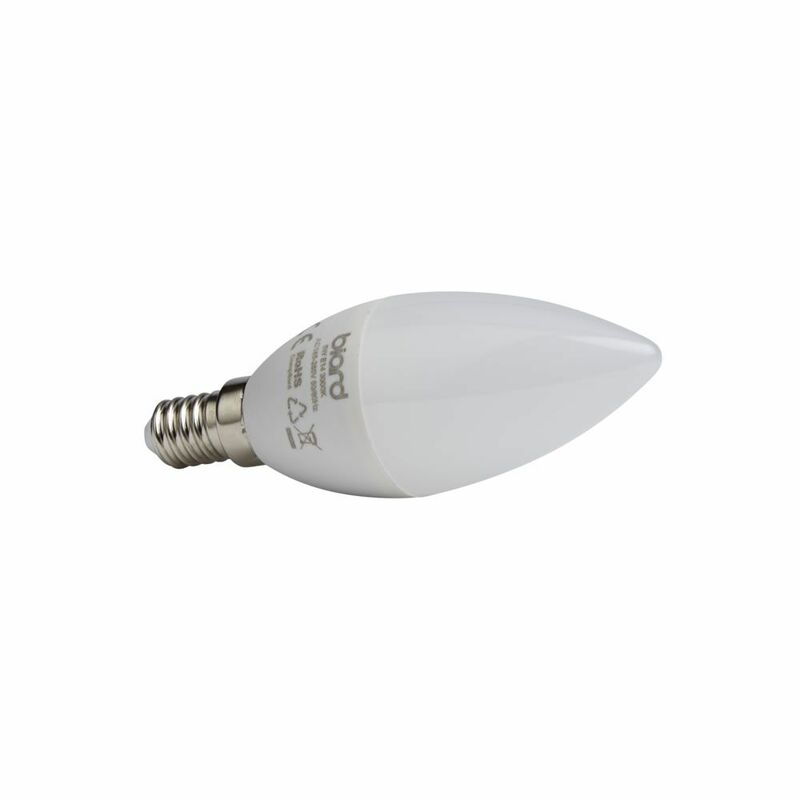 Featuring an impressive 25,000 hour lifespan, meaning replacements are a rarity, this Biard Candle Frosted LED bulb will help to illuminate any space and create a cosy warm feel or a striking bright appearance that is sure to last.